Just got back from an Oscar Viewing Party where I ran into my girl, Kristen Tischhauser, also rocking a Canadian Tuxedo. 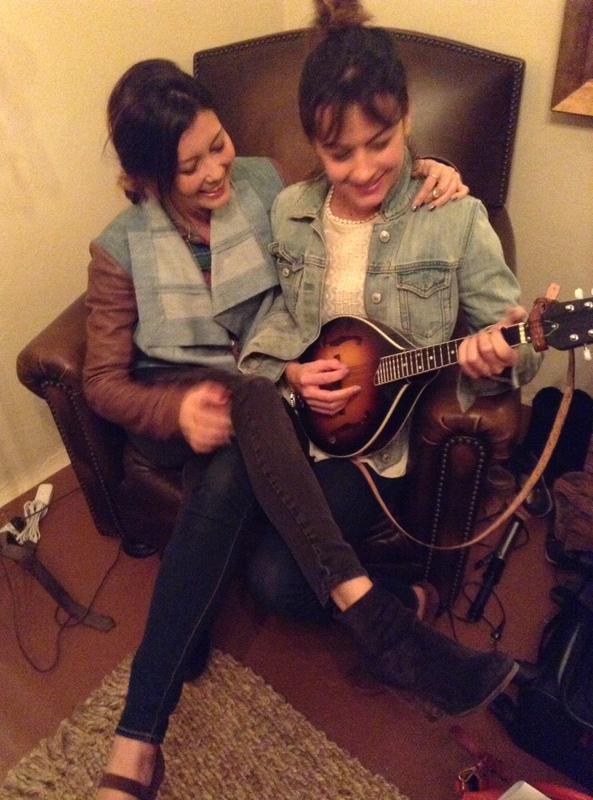 I was able to woo her into a photo with my mad mandolin skills. Kristen is seen on the left in Aquilina jeans, a Vena Cava jacket that I had to work hard not to steal, Levi’s flannel shirt and Rag & Bone boots. I’m jamming away in 7 For All Mankind jeans, vintage Gap jacket, Zara top and Marni Mary Jane’s. A big thanks to Seth Iliff for hosting. This entry was posted on Sunday, February 24th, 2013 at 10:07 pm	and tagged with 7 For All Mankind, Aquilina, California, Canadian Tuxedo, Denim, Denim on Denim, double denim, Fashion, gap, Jeans, Kristen Tischhauser, Larchmont, Levi's, Los Angeles, mandoline, Marni, Oscar, Oscars, Rag & Bone, Seth Iliff, Zara and posted in In The Wild, Movies. You can follow any responses to this entry through the RSS 2.0 feed.